LAFRANCE update, addition of 15 000 newspaper obituaries and new blog articles on Genealogy Quebec! The bimonthly LAFRANCE update was released earlier in the week. The additions pertain to the 1850-1861 period for Catholic baptisms and burials. In addition, the corrections sent by our users over the past 2 months have been applied. The LAFRANCE, one of 16 tools available to GenealogyQuebec.com subscribers, is a detailed index with link to the original document of ALL Catholic marriages celebrated in Quebec between 1621 and 1917, ALL Catholic baptisms and burials celebrated in Quebec between 1621 and 1849 as well as ALL Protestant marriages celebrated in Quebec between 1760 and 1849. Baptisms and burials of the 1850-1861 period are added gradually through our bimonthly updates. The Newspaper obituaries tool, which can be found in the Obituary section on Genealogy Quebec, has been updated. Around 15 000 new death notices have been added, which brings the collection to a total of 664 001 notices. 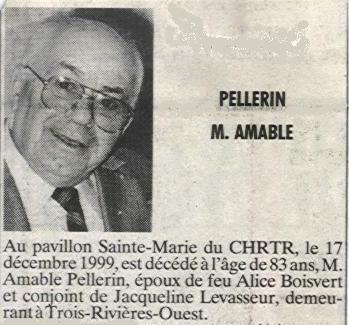 These obituaries have been taken from Quebec newspapers published between 1945 and 2015. You can browse this collection with a subscription to Genealogy Quebec at this address. Previous PostPrevious What is Genealogy Quebec? Next PostNext Massive PRDH-IGD update, now nearly twice as many individuals in the database! Massive PRDH-IGD update, now nearly twice as many individuals in the database! Genealogy Quebec, now in a library near you! LAFRANCE Update And Addition of 30 000 Newspaper Obituaries on Genealogy Quebec! Postcards Update And Tens of Thousands of New Documents on Genealogy Quebec! 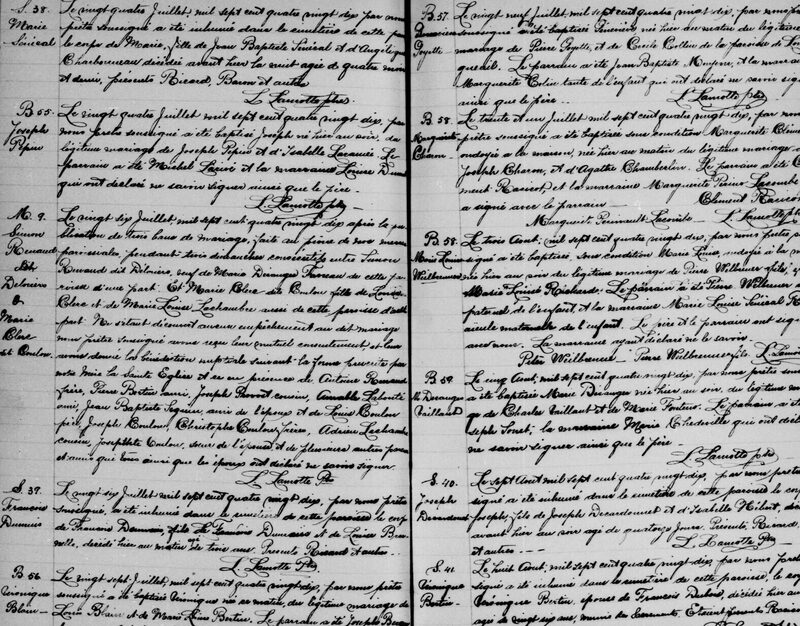 Even More New Content on Genealogy Quebec! The PRDH’s Web Address Has Changed! All The 1917 Quebec Catholic Marriages Are Now Available on Genealogy Quebec! Discover The New City Directories Tool On Genealogy Quebec! New Content and LAFRANCE Update on Genealogy Quebec – Now Over 44 Million Images and Files! Drouin Institute Acquires Planète Généalogie, New Content on Genealogy Quebec!